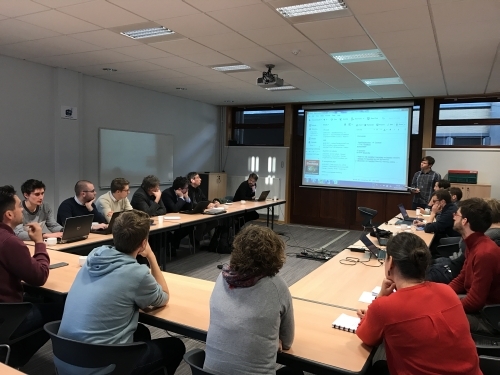 On Thursday January 26th 2017, the Flanders Marine Institute (VLIZ) and imec met for the first time to explore opportunities for collaboration on sensor data analysis. Imec is the world-leading R&D and innovation hub in nanoelektronics and digital technologies; VLIZ is building a marine observatory, including several sensor networks, in the framework of LifeWatch, an European infrastructure for biodiversity and ecosystem research. Before the LifeWatch Marine Observatory becomes fully operational in 2017-2018, several sensors are being purchased, calibrated and tested. There is still room for improvement when it comes to the analysis software and machine learning algorithms of these sensors, and this is where imec might step in. In the morning session, the marine observatory of the Belgian LifeWatch infrastructure was showcased in several presentations. 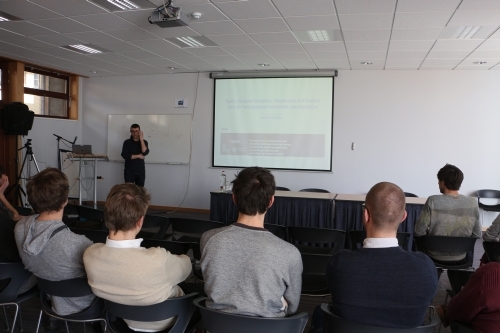 After lunch and a guided tour in the Marine Station Ostend (MSO), imec presented several ongoing research projects within the different labs and divisions, which might be relevant for and boost cooperation between VLIZ and imec. During a discussion session, VLIZ and imec explored the low-hanging fruits for collaboration, and identified several topics for joint master theses and internships.